25kg, 500kg, 1000kg/PP woven bag upon requests. 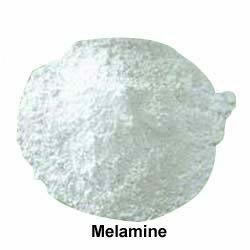 melamine is mainly used for manufacturing melamine formaldehyde resin, which is well water, heat and arc resistant and bright. It can also be used in decorative laminates, aminoplastics, adhesive agents, coatings and used as a paper reinforcing agent, textile auxiliaries, cement water-reducing agent and leather retaining agent.